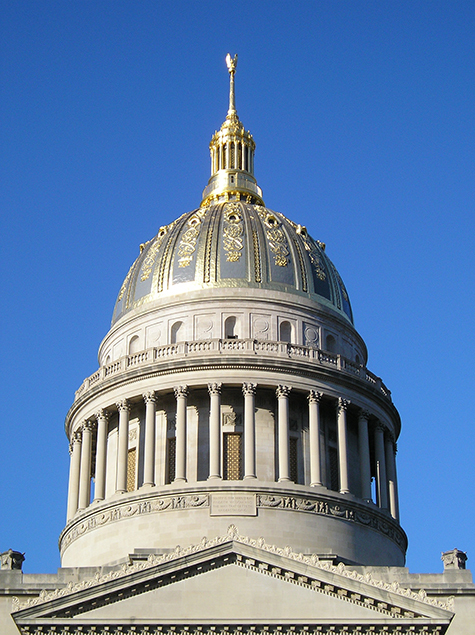 Restorations & Renovations to the WV Capitol Dome – Wiseman Construction Inc. This was a specialty project with great uniqueness and difficulty. The process included, as Wiseman’s idea and choice, fully encapsulating the 300′ in elevation Dome to allow work to continue throughout the winter weather and various other adverse weather events. This is one reason that the project was completed more than one year ahead of schedule. 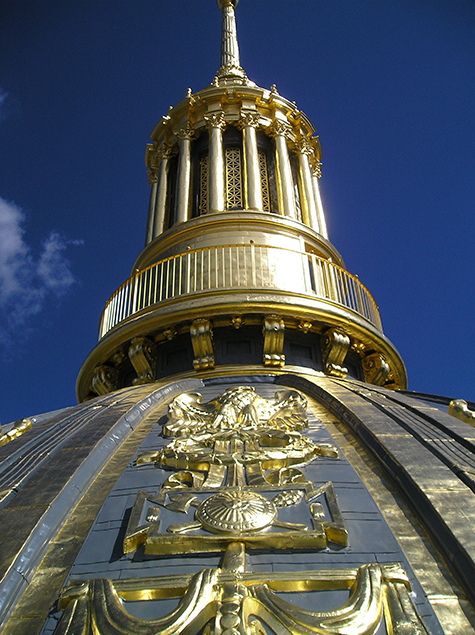 The project’s scope of work included the complete removal of the existing finish coatings on the Dome; as well as the removal and repairs to the many large copper ornaments and figures attached to the Dome’s surface. 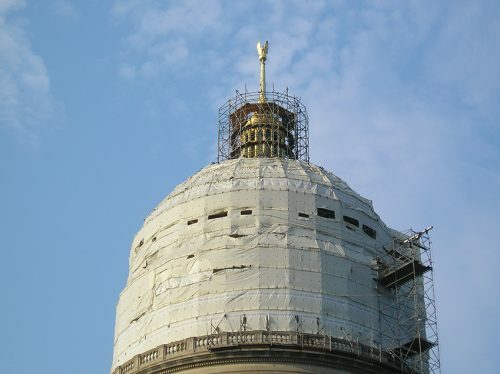 While repairs were being performed, it was noticed that the Dome’s structural steel had deteriorated and the Engineer determined it to be inadequate and in need of replacing. Wiseman used unique tactics to access the problem areas and provide ways to transport the new steel to the designated areas of replacement. 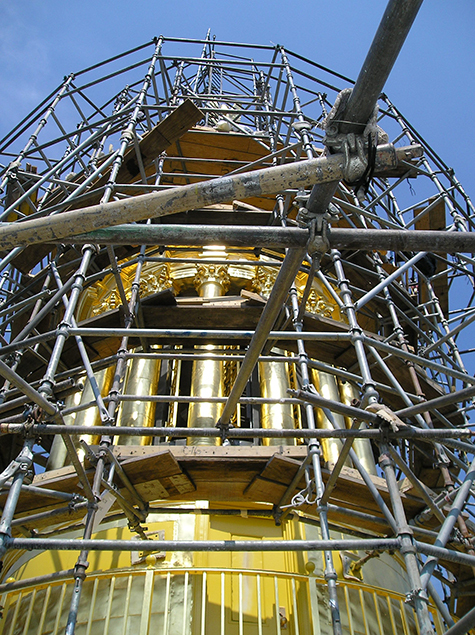 Once repairs were made, a local painting subcontractor applied an epoxy coating to the entire dome. 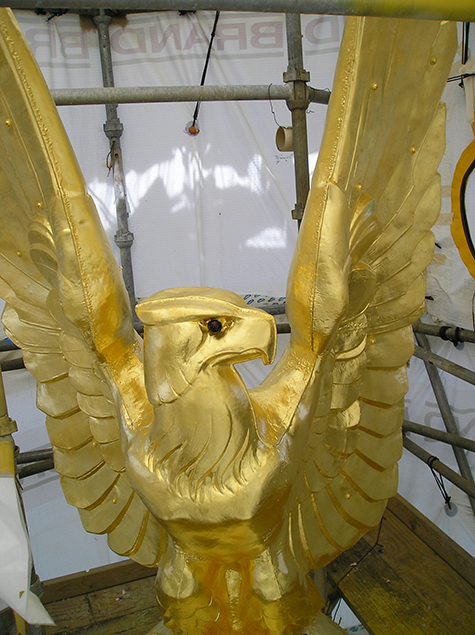 This epoxy coating was not utilized during the previous Dome restoration in the 1980’s; which resulted in the quick decomposing of the gold finish coating and led to the need for the restoration performed by Wiseman. 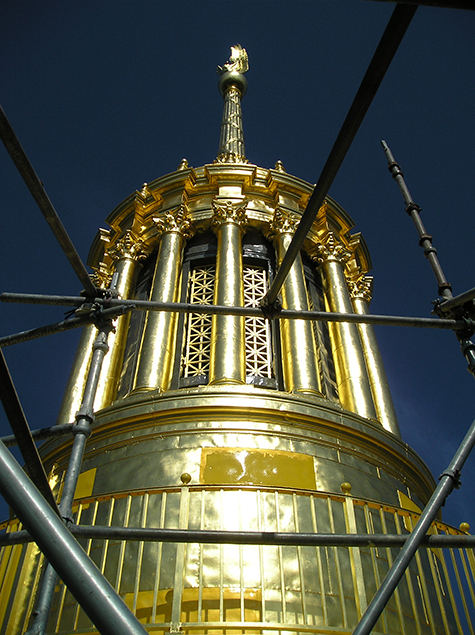 Once the epoxy coating was complete, Wiseman hired the historical preservation subcontractor, John Canning Co., to install the 24K gold leaf that can be seen on the Dome today. Wiseman worked very close with Gov. Joe Mansion to decide on a final design scheme. 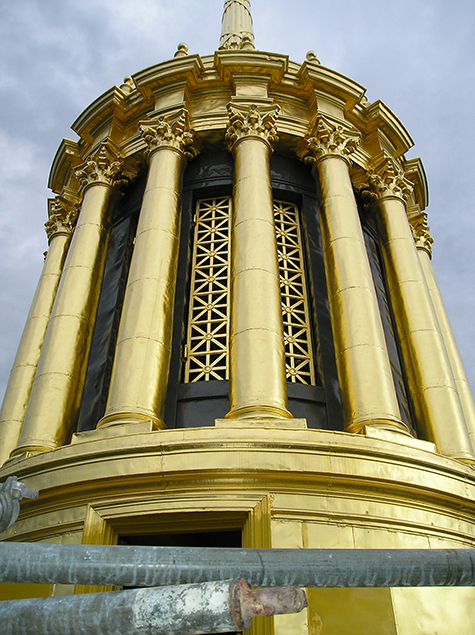 After many mock-ups, it was decided to use the original design of Architect Cass Gilbert. This is the exact design and scheme used when the Dome was originally constructed in the 1930’s. 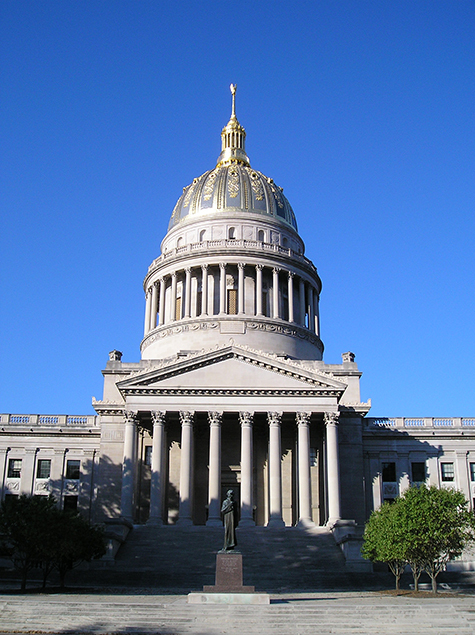 Before final completion, the owner requested that Wiseman perform cleaning and mortar re-pointing on the surrounding masonry in an effort to make West Virginia’s Capitol a symbol that would be as attractive as possible. 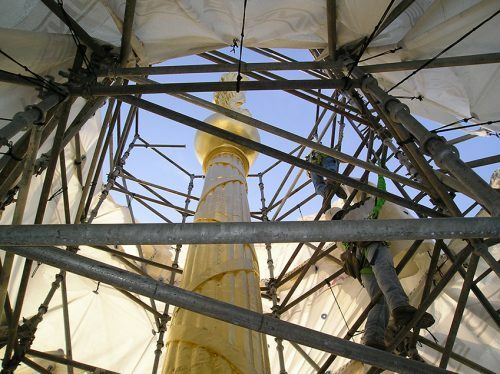 Workers endured extreme temperatures while working under the containment; while using various heating and cooling techniques to ensure adequate humidity and air quality that was specified and needed for the proper installation of the final coating materials. Wiseman’s organizational skills, qualified workforce, and subcontractors were the other factor that led to this project being completed 1-1/2 years ahead of schedule; while including the extra structural steel replacement and masonry restoration.